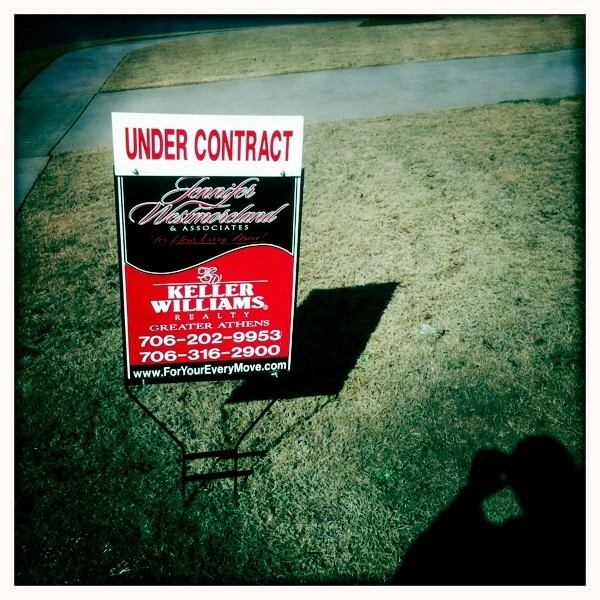 After only 10 days on the market a family put a contract on our house! PRAISE GOD!!!!! We are completely blown away and humbled by his goodness! I mean, who buys a house the week before Christmas??!! I am reminded and grateful that God is not ruled by our timelines…or our economy…or our rules. He is God. Not only does He hold the whole wide world in His hands…He hold my whole world in His hands. For that I am grateful and find tremendous peace. I’m clinging to that truth as we (quickly) have to make a decision about where to move to in Atlanta…to rent vs. buy…etc. etc. We have to be out of our house by January 20th. The thought of that in the midst of everything else going on makes my head spin! It’s overwhelming when I try to carry it all on my shoulders…so I am constantly having to put it back in His hands…knowing that to Him this burden is light. I am looking forward to seeing this all unfold and for Him to recieve all the glory and praise as He faithfully provides…as He always does. Wow, that’s amazing!! I can’t wait to see how this unfolds! Emily – That is awesome. I just want you to know what an encouragement you are to me. It is so easy to get overwhelmed and forget to lay it at His feet and your words always draw me back where I belong. Thank you for being so real. Checking in on all our groupies since it’s been awhile. Wow, this is amazing! Praying for you guys! I’m in Alpharetta near the Passion office….let me know if you need to “move in” for a while! I would love to have you guys!